Randolph College will host its annual Fall Orchestra Concert on Friday, November 16, at 7:30 p.m. in Smith Hall Theatre, inside Smith Memorial Building. The event is free and open to the public. This year’s performance will feature Randolph Chamber Orchestra musicians along with guest artist Corrine Byrne (soprano) and Tyler Young Artists from Opera on the James. The collaboration with Opera on the James Tyler Young Artists will feature Samuel Barber’s A Hand of Bridge, a short, one-act opera that takes audiences on a strange journey into the minds of two married couples during a regular evening card game. 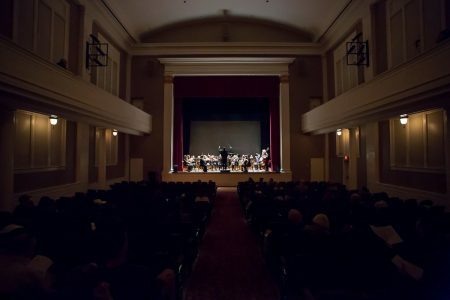 Getty said the collaboration with Randolph’s Chamber Orchestra fulfills Opera on the James’s mission to bring world-class opera to Lynchburg and surrounding communities. Musicians in the Tyler Young Artist Program are the company’s ambassadors of opera, performing concerts and giving classroom presentations to elementary schools throughout the area.